Former Supreme Court Chief Justice John Marshall stated that, “The power to tax involves the power to destroy”. This is true enough, but it also involves the power to control. In fact, control is the number one feature of our tax code, at least in terms of how much of our behavior it controls. This is as opposed to how efficiently it raises revenue while doing the least possible damage to the economy and personal liberty. Like a hydra, it sits at the center of American life with tentacles that reach into our finances, our politics and – coming soon – our health care. It is the great enabler of big government, and it makes potential criminals out of everyday Americans who can’t possibly keep up with its over four million words and fifty-five thousand pages of rules and regulations. A code so complicated that it takes a collective 6.1 billion hours to comply with each year, the equivalent of over three million full-time employees and about 170 billion dollars in costs to the economy. Generally speaking, it is said that if you want less of something, you tax it, and if you want more of something, you subsidize it. With that in mind, our tax code is a veritable road map to what our betters want more and less of. We tax success, whether in the form of income, capital gains and essentially savings as well. We tax free speech with regulations and the time and resources necessary to comply with them. And of course we subsidize unemployment, poverty, poorly performing government monopoly schools and failing businesses. Trillions later, how’s that been working out for us? Its primary beneficiaries are accountants, lobbyists, lawyers and the businesses that get the loopholes they want, and the politicians who get contributions for keeping the loopholes in place. In other words, the complexity invites corruption. Of course such a large, complicated tax code gives rise to a large agency to administer it. And since it is a virtual certainty that everybody is violating some element of it at some time, it becomes a matter of bureaucratic discretion as to whether you’re targeted for enforcement or not. The more the agency has to regulate, the more it “needs to know” about those it regulates: like your finances, the content of your prayers, your political beliefs, what type of health insurance you have, etc. – all information that can be exploited and shared with others who have no business seeing it. Just ask the Tea Party supporters. 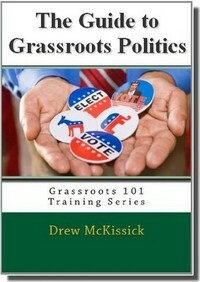 Just this week a Treasury Inspector General’s report revealed that confidential tax records of some political candidates and donors were “improperly” reviewed by the IRS, and that they “targeted for audit candidates for political office”, and that there was “unauthorized access or disclosure of tax records of political donors or candidates”. But these scandals are mere symptoms of the problem that is our incomprehensible, inefficient, corruption-inducing tax code. All of which presents an opportunity to Republicans, and they should use it to “go big”. Call for the immediate appointment of a special prosecutor to investigate the IRS abuse scandals. Pass a resolution in the House every day if necessary to bring public attention and pressure Obama to make the appointment. Eliminate the IRS role in Obamacare. Of course that would essentially gut program financially, so Democrats would oppose it, but it would put them on the record voting to keep the IRS involved in American health care, much to the appreciation of the voting public. 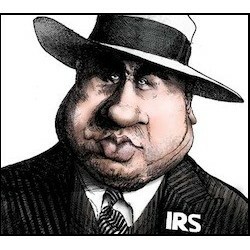 Eliminate the IRS all-together and restructure government revenue collection. We upended entire bureaucracies after 9-11, why not now? Further, push for real civil service reform that has real punishment for political favoritism and abuse. Reform the tax code to eliminate all deductions and lower all rates. Start with a blank sheet of paper and design it like it was on purpose, not the result of some grotesque experiment in regulatory evolution. It would mean easier compliance for taxpayers and less control for bureaucrats. Ignore the howls of protest from lobbyists and adopt a “no loopholes, no exceptions” policy. Eliminate the corporate income tax, since it is just a pass-thru to the shareholders who own corporations to begin with. This would also have the virtue of eliminating the need to file for tax-exempt status in order to create political speech groups and get the legal protections of a corporation, (the source of the recent IRS abuse of Tea Party groups). These are all issues that Republicans can use to beat Democrats over the head from here to 2016. Never let a crisis go to waste, remember? Best case, we actually improve something that desperately needs fixing. Worst case, we put Democrats in close races next year in a really bad spot. It’s all about preparing the ground we’re going to fight on.